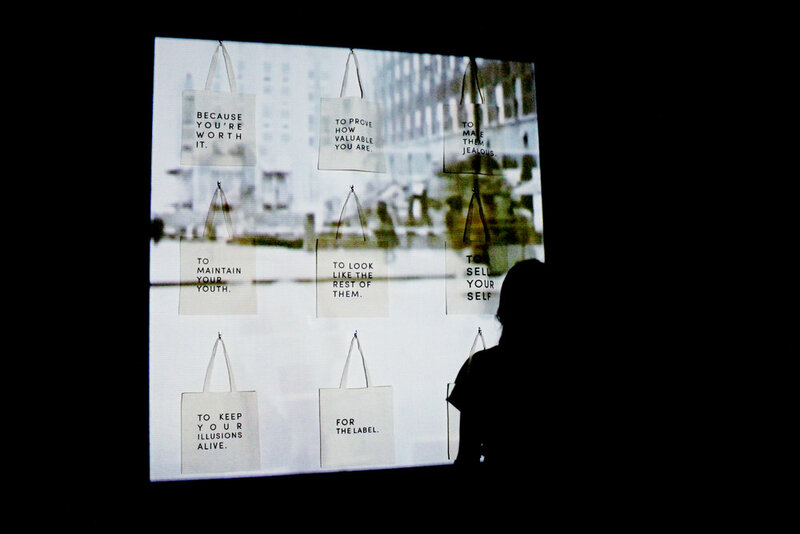 To Look Like the Rest of Them combines a one channel film projection and screen printing on nine canvas bags to create an immersive video installation. 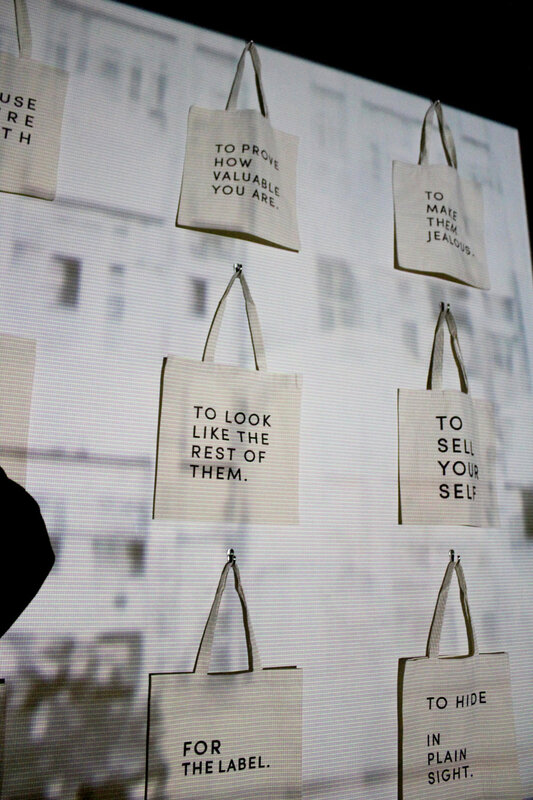 Canvas bags are fashion items stripped of their image while their text openly theorizes about the psychological experience taking place within the shopper. These bags beg the question: what is it about them aside of their apparent beauty that makes them so appealing? The slow and mesmerizing nature of the film resembles the hypnotic state the woman has fallen into while window shopping. The viewer's experience mirrors that of the girl in the film: allured by an apparent window filled with things. The bag's repetitive nature represents uniformity, not only between products being advertised, but between the individuals who buy them. As the woman's own image echoes behind her, she too is seemingly mass produced. The bags and the woman's own image reflect the outcome and process of an assembly line. The world present within this single channel film represents the large mass of people conforming to trends, void of originality, continually bound to the physical and emotional demands of the fashion industry.